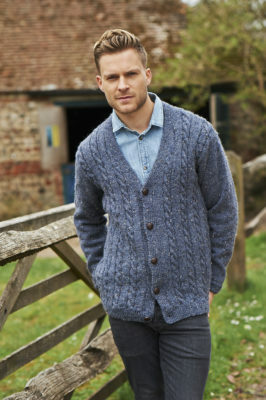 A cosy cardigan for the gentlemen this week. 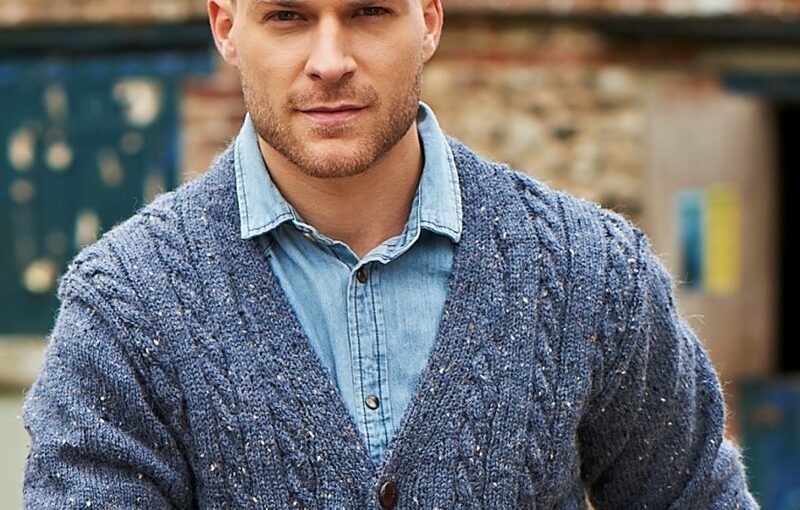 This cabled V neck cardigan comes in five sizes ranging from 97/102 cm (38/40 ins) to 117/122 cm (46/48 ins). There is not a lot of “ease” so check the actual sizes given before deciding which size to make. The cable pattern is worked on both fronts and the back and is created by working an eight-row pattern. The sleeves are worked in stocking-stitch. The yarn used is Stylecraft Alpaca Tweed DK, a soft but very hard-wearing yarn which is a mix of acrylic, alpaca and viscose. We used the shade Midnight but there are lots of other shades to choose from. 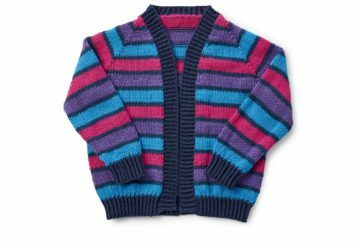 To make this cardigan you will need 3.25 mm (No. 10) and 4 mm (No. 8) knitting needles and a cable needle. You will need between seven and nine 100-gram balls which is available from your local Stylecraft stockist or online from many outlets. To complete the design, you will need five buttons. We have chosen a classic button but you could select something more modern to contrast or stand out more if you prefer. For more great ideas and competitions, visit the Craft section of our website.